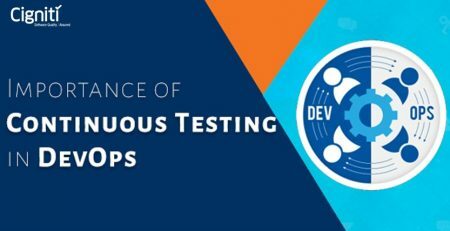 Saying that an organization is ready to adopt DevOps is synonymous to saying that it is ready to embrace change. Certainly, successful DevOps implementation is mostly dependent on the willingness of an organization to adapt itself to some big changes within. Usually, the DevOps roadmap and strategy of an organization might face with high resistance from various stakeholders. In the current rapidly evolving landscape of tools, technologies, and processes, DevOps implementation faces a number of challenges. Before an organization moves towards adopting DevOps, it is better to get prepared for the cultural shift first. Old habits die hard! Usually, what employees do at work every day becomes their second nature and they develop a certain level of comfort with their work. They do not like to change their work style, even if they realize that a more efficient process is available. Old habits are hard to break. For an organization which has hundreds of employees, bringing in any change becomes a challenge. Unless an organization is ready to let go of its old practices as required, the benefits of DevOps won’t ever be achieved. When an organization takes a decision to embrace DevOps, it’s very important to familiarize people with it. It is essential to make them understand that development, testing, and operations and possibly other functions will work in collaboration with one another. They would not work in silos going forward, leaving the old style of software development and delivery behind. It requires revamping a company’s deployment process, its communication process, its organizational hierarchy, and the structure of various teams within, and even the roles of individuals in a team. DevOps is intended to nurture cooperation and collaboration between different departments of an organization with a results-driven approach. In DevOps environment, the boundaries of roles and responsibilities of different teams become indistinct. The quality and delivery of a product or solution become common goals and responsibilities of all the stakeholders involved. 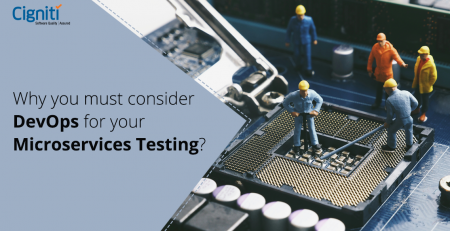 For example, in this collaborative development model, a developer might need to wear the hat of a tester and test the code and a tester might need to develop the code incorporating the required changes. In such a scenario, without putting in efforts to build the new culture in order to make people ready to accept the changes in their roles and responsibilities and act accordingly, DevOps implementation will not be successful. It is very easy to evaluate, plan and decide which tools need to be used and how. But, bringing in the behavioral & cultural change in the people who use such tools is very difficult and complex. How to Achieve the Cultural Shift? 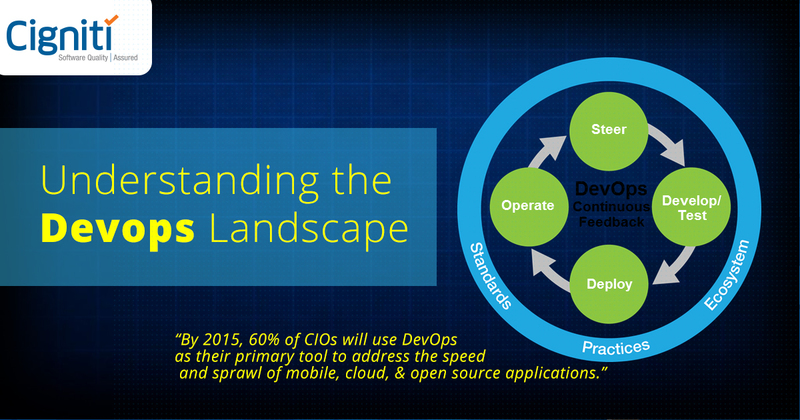 The cultural shift is fundamental to the success of DevOps implementation. Agile and DevOps movement will not and should not be implemented as an extensive and immediate change in the organization. It should instead be first implemented carefully, considering the organizational culture, in the areas where there is a significant business need for speed. The DevOps movement should start small and efforts have to be incremental. And, DevOps demands continuous change, including an organization’s core culture. For an organization to achieve the cultural shift that enables DevOps implementation, it is necessary and helpful to approach an appropriate and reliable consulting and advisory services provider. Such a service provider can guide you in moving ahead from a traditional software development approach to continuous software delivery approach. Cigniti’s Advisory and Transformation Services (ATS) help you identify key areas of improvement and align your Agile / DevOps processes to industry best practices. Our ATS team provides assessments, recommendations, roadmap, and strategic advisory services that help you build the DevOps culture, improve collaboration and transparency between teams – Business / Dev / Ops for effective decision making and establish a high maturity Agile DevOps organization. Reach us at contact@cigniti.com if you are ready to embrace DevOps and facing challenges in building the DevOps culture and implementation.